I remember when Romania was given freedom of movement to the UK nasty Nigel Farage said we'd be inundated with Romanians. He was widely criticised and we had TV reporters at airports on the 1st January telling everyone Nigel was wrong and there were hardly any Romanians coming over. Romania does not have much money. It's obvious people would come here to earn some. Poles are number 1 though. My neighbour is Polish Eric. Think of it as privilege that they w ant to live in the UK. Not..
Do you think it will make the So-Called BBC news ? Yes, wasn’t that odious MP, the one with a predilection for rent boys and coke seen trying to pick a couple up at the airport? One of which managed to kill himself in a road illegal car? The unofficial, non registered, with be 2x-3×. I have this argument on TOS. I keep saying there are 5m-9m EE in the UK. I get slapped dow, and they pull out a figure from 2014 saying tgeres 1.3m. Then you get these more to date figures where numbers are pointing to my guesstimate. Who wouldn't go for an opportunity? I've worked with a few Romanians abroad. Apparently they are cheaper than the Brits, or Germans. 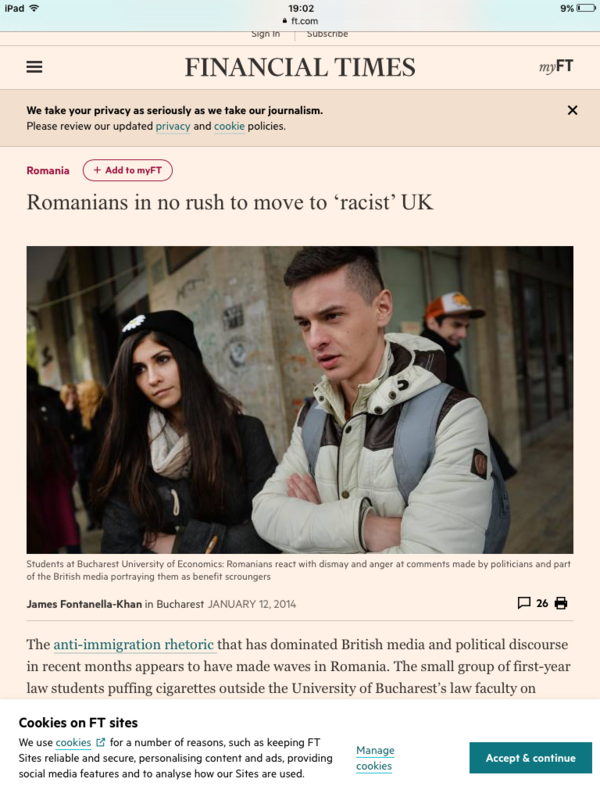 The ft article - all of 4 years old - goes on about a levelling off in tge number of romanians emigrating. And this after 3-4m have gone between 2007-2014. The current stats are still for 2014 - pop. Of 19m. Id bet good money the population has dropped another 5m since. BBC News did an anti-Brexit piece on the shortage of fruit pickers (sob, sob) and how us poor Brits are going to miss out. Off a reporter went to Romania with an agency out to recruit these much needed works to save the UK economy. Twats! B. They wilfully lied to us. Yes, but not with people who have ambition, taking up an opportunity. I might do it myself one day! 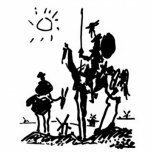 If you can point me towards a country where I can work a quasi-job for 16hrs a week and receive the equivalent of £100k pa in tax credits, I'll be on my way (at least for a couple of years). IMO the interesting part of this is the proportion of the population that has left the country. For Romania it is about 2-3% of the population that is in the UK. Beyond that, I've no doubt the actual % will be higher, and there'll be significant numbers of Romanians in other western EU countries. Poland is similar -- a massive proportion of the population have emigrated, making it more difficult for the country to do well (although I think Poland might be recovering now). I've no idea how this can be regarded as 'a good thing' -- this will be decimating the country. Sure, for each individual there might well be benefits in migrating, but IMO the EU should be considering the impact on the country before the impact on the individual. IMO the whole freedom of movement in the EU is a massive mistake -- it just ends up with whole populations moving to where the money is, encouraging GDP there (not per capita, necessarily), but also hammering GDP in the country of origin and impairing the ability of said country to improve its economy. It is entirely pro-cyclical and causes immense harm -- exactly the opposite of what it supposed to be doing. Sorry the EU is closed. Have you been reading the DM again? I certainly never met people who are the subject of these articles. If they were all working full time and not drawing tax credits, housing benefits, universal credit, whatever, it would be better. Even if it were the case, it's still not that good, the numbers are too great, it puts massive pressure on the UK's indigenous low-skilled and on the infrastructure. As Pinny says, the fault mostly doesn't lie with the people themselves - if you give people from a shithole a big financial motive to do something, they'll do it. As we all would. I agree, Pin, but I think there is a further aspect -- is it right for the EU to encourage those with ambitions to leave the country, and in consequence make it more difficult for those left to create growth in their economy? There is a strong argument that in the case country X is doing well and country Y is in trouble, the right thing to do would be to tax country X so that the right investment can be made in country Y so that the population can create growth in their own country. This wouldn't even be a selfless measure -- growth in country Y could create new sales opportunities for country X. This is actually how the EU worked in the past; the 'just let everyone move around and damn the consequences' is a relatively new approach. I'm looking at jobs in the EU that, for working full time, will pay me the equivalent of £12-20k. The difference is that I am looking at it as a permanent move, not as an economic migrant. The previous imbalance, brought about by freedom of movement (and terrible UK welfare policy) has led to that decision. I agree. It's wrong for us to poach African, or Philipine nurses, for instance. But hey that's business! They wouldn't need to poach any nurses if they recruited appropriate people for the nurse training! There's huge demand to get into nurse training, then they all leave. I know A levels aren't as hard as they were, but still, BBB (typical requirements and they like "A"s better) seems way too demanding - they should be looking at slightly less academic, fit young people who are caring, like to work hard and can deal with messy stuff. These people exist in the UK already, and at the moment they can't get onto nursing courses. They recruit the wrong people, spend a fortune training them and they either leave the profession or go to Oz/Canada/New Zealand. Aye my dad did nursing. He dealt with old people who shat themselves. He didn't need a degree, but lots of bleach. Entry to nursing should be gcse maths english and biology. Get them learning at 16, out in wards at 19, qualified by 21. No fees, paid from 18. We can thank the fuckwits behind project 2000 that scrapped the Enrolled Nurse qualification. Enrolled Nurses training was a two year simplified version of the State Registered Nurse. Of course they didn't replace EN's with SRN's. They were largely replaced by unqualified Nursing Auxillaries (who have value) who could only do a fraction of what the EN's did. I'd agree with that. For the academically minded a Nursing degree could still be available.